My first Offshore trip of the 2014 season began as a glorious morning with temps in the low 50’s, light offshore wind, & glassed out conditions. I arrived at the spot I planned to fish right at the tail end of the first peak feed time to find 6 boats posted up & bait everywhere. I started the morning off jigging & quickly landed a legal Snapper which was released to be caught another day. 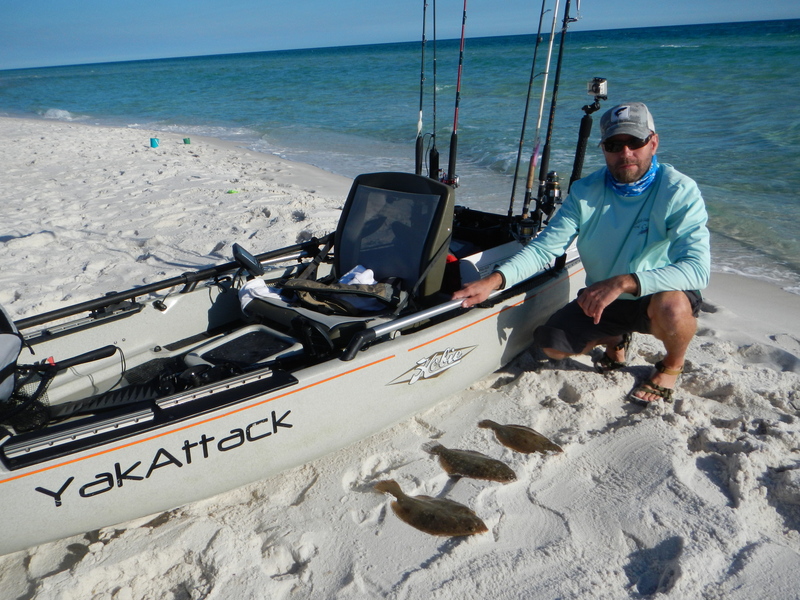 The next 30 minutes produced a giant Toadfish aka Oystercracker, a Ray, a long distance release of a really nice Flounder right under the kayak & a lost jig to what I assume was a hefty Snapper. After 45 minutes of fishing I had no flounder in my bag & the boat closest to me had landed 4 legal fish. It was time to change tactics. As I went to put up the jigging rod, I realized I had forgotten the sabiki rig in the garage. No worries, cut bait it would be. On my first drop with light tackle I landed a 13″ flatty. Over the next 20 minutes I caught a 13.5″ & one a bit over 15″ then the bite shut off, at least where I was. 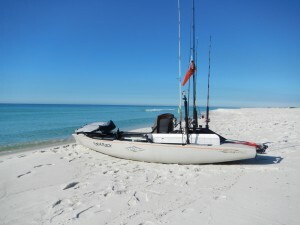 I enjoyed the rest of the afternoon soaking up all the goodness the Gulf has to offer. There were Black Sea Bass, Sheephead, & plenty of Red Snapper landed on the same reef. It was a beautiful day on the Gulf & a great reminder of good things to come.